The people of the prairie gave me no context for my feelings. And yet the entire idea of being with a woman, being in love with a woman, was so deeply engrained in my being I couldn’t dismiss it, not even as my physical reality begged me to reconsider the sanity of it all. In this interior moment, Melanie Hoffert expresses an essence of her reality: a relatable, basic truth about growing up “feeling different.” Whatever the reason for this feeling, whether the context is urban, suburban or rural, the emotions are universal. By intricately weaving together adolescent memories, adult experiences and contemplations about the future, Hoffert’s memoir Prairie Silence (Beacon Press) is a distinctly American memoir. The North Dakota prairie is portrayed not only as it was to Hoffert-the-child, but also as it is to Hoffert-the-adult. Using factual data and her own age-acquired wisdom, Hoffert provides a full-bodied view of a region and its socio-historical. Prairie Silence is a highly realistic book, tracking Hoffert’s interactions with the places and people of her past. Through this self-reflection emerges the concept of “prairie silence”: a cultural edict that promotes and maintains Hoffert peacefully as a child but becomes a source of conflict for her as an adult. The basic religious doctrines of the Dakota prairie land and people are an essential, stabilizing influence on the community. Hoffert masterfully explains how religious tenets created confusion, conflict, and anguish for her as a homosexual woman, emotions that plagued her over time and place. 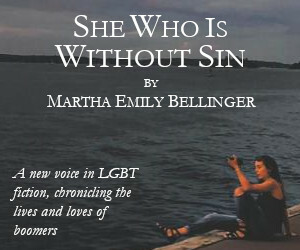 Through her consummate writing skills, the reader is taken, gently and skillfully, on a journey as Hoffert works to confront the dueling concepts of an ever-loving God versus a vengeful God, reconciling her spirituality while coming to terms with her sense of self. Hoffert’s writing style and abilities alone are a reason for recommending this book, regardless of a reader’s particular genre interests. She is a master of description, utilizing the least number of words while evoking maximum effect. 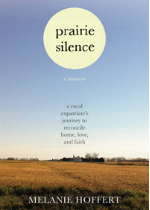 By eschewing chronological time and focusing on connections around the motifs at the core of the memoir (home, religion, and identity/self-actualization), Prairie Silence becomes less of a story and more of a person—someone a reader can connect with on a deeper level. 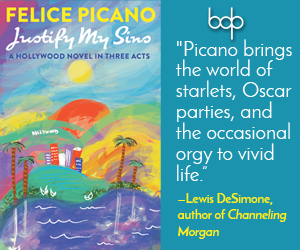 Memoirs are more than a recitation of facts and events or a sensationalistic recounting. They are an account of an individual’s awakening, perceptual changes and growth. In her debut book, Hoffert has written her heart, converting a selection of her life experiences into a unique and thematically elegant story.